Last Minute Events- Two Fashion Parties! I would have totally gone to either one of these if I didn't already have plans! 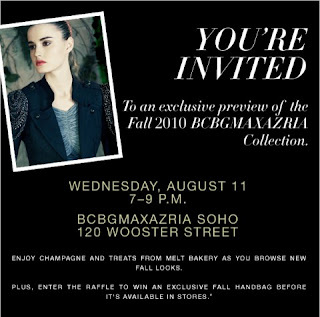 If someone goes to the BCBG event, try to take photos! I'd love to see what they're coming out with for the fall!